I made this for my Z06, also works for the C6, GS and Zr1 (complete plug n play kit $85 Battery tender not included. I refused to have a battery tender prior to this because I would not run wires over my car or through the window. I wanted a simple attach and drive away method so I would not have to worry about disconnecting it. No, you can charge the car and not worry about someone else having to disconnect it to use the car. I hooked the battery tender cables (one with eyelets) to the + on the fuse box and the ground on the frame. There is already an opening in the by the horn to run the wire so no cutting or modifications. The connectors are a proprietary system that uses a magnetic system to the couple and only engage power once coupled. 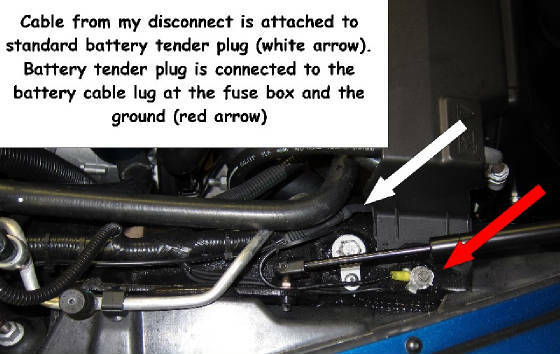 It's amazing since you can't hook it up incorrectly and once disconnected no power at the car side so no chance for a short (plus the tender cable is fuse protected anyway). It's also 100% water (can take pressure washing), dustproof and hooks to the standard battery tender connectors. 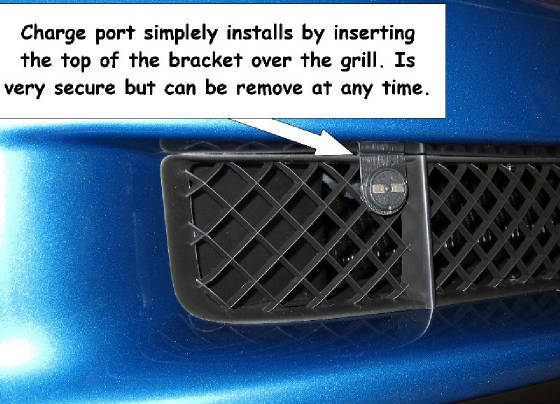 For now I have a simple mount that just slips on over the grill and can be removed anytime (most likely the spring/summer season). I just get in the car and drive away. 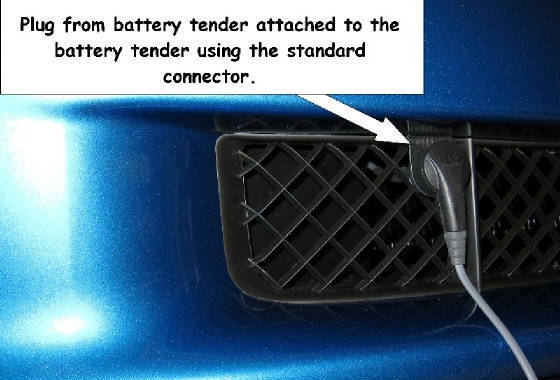 Other big plus is that if the car was dead and you did not have the tender hooked up, you could just pop it on and charge the car without getting in.